Automotive history lives and breathes at Best of Show Automotive. You know we are passionate about vintage racing, having completely restored “Project Six Pack” to its original state, and more recently presenting the legendary Arlen Vanke’s 1967 Hemi Barracuda. Today we are pleased to announce yet another milestone race vehicle coming to us from one of the top names in the Camaro hobby. The car is Dave Strickler’s 1968 Camaro Z/28 that won the 1968 Super Stock World Championship, and the man is Camaro historian and authenticity expert, Jerry MacNeish. The car has been comprehensively restored to as-raced condition, including some incredibly rare NOS items that came from Jerry’s personal collection. If there is a more thoroughly documented, well-known, relevant and accurate early Camaro out there, I’d like to see it. 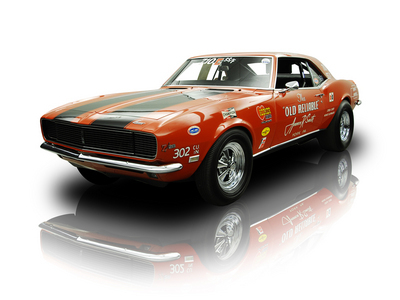 Make no mistake: this is the ultimate Z/28 and the cornerstone of any significant Chevrolet muscle collection.